For skiers and snowboarders around the world, April Fool’s Day started early in Australia, spread to Europe then finished in North America with one long assed day of hilarious, funny and lame jokes from ski and snow brands, resorts and media. We trawled the April fool internet, so you didn’t have to and so that we could bring you the best (and worst) jokes on offer. Though we were personally quite taken by the speed limits to be enforced on the USA and Australian ski lopes. Though some folks clearly didn’t realise that historically April fool is only valid until midday of your time zone, post your April fool joke after that and you become the fool. Mad scramble to get in on the action too late, at your own peril. It started in New Zealand with Broken River becoming the first club field to join the Epik-On pass (ouch). Kicking off the antics down under, the folks at Snowriders Australia stirred up the naysayers and claimed that global warming was actually global cooling. 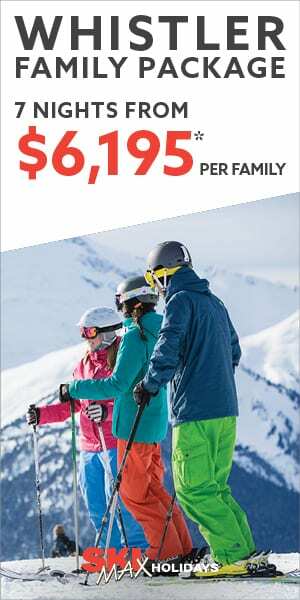 Ski and Snowboard Australia posted an April fool status claiming that athlete parents can now bid on the Athlete of the Year award and those with the most cash wins (we snortled). The post has since been ‘removed’, perhaps from parent comments saying it was off the mark (or too expensive?). Oops. 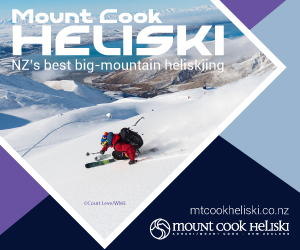 Mt Buller ski resort announced a gnome study which clearly fooled gnome one (see what we did there), Falls Creek announced they’d be giving up their ski in ski out status and the Ski Club of Victoria announced a new international airport for Mansfield. By the time the folks in Europe had woken for first tracks, the snow inter webs were already throbbing with falsies. Verbier announced the closure of the le chable gondola to be replaced with electric busses to cries of Poisson d’Avril (April Fish) from their readers and Austria banned alcohol from their now schnapps free slopes. Meanwhile ESI Ecole de ski announced the coolest outdoor slope on a cruise ship complete with 150 metre slope and two chairlifts. Sign us up. Fernie put themselves up for auction to Ikon and Vail with bidding starting at $50million. Well played, well played. Big White announced ‘Big White 2.0’, a separate resort for snowboarders only. Really? Banff Sunshine Village launches ‘Sunshine Eats’ – essentially Uber Eats for skiers and snowboarders on the slopes. The Snow Report announced Ikon Pass Security Screenings for Aspen complete with video. Unofficial Networks announced a snowboarder ban at all Vail Resorts as 19 ski fields switch to skier only. 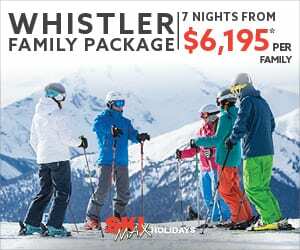 Snowbrains reported a mega resort on the top of Everest and The Ski Mag announced Blizzard’s skinny is the new fat ski. On the East Coast Jay Peak and Burke are to become part of Quebec, Canada (not) and Grand Targhee broke the midday rule with Avalanche Rescue Cat program. Vail Resorts didn’t prank anyone. Boooo. But Alterra Mountain Company awarded a snow ambassador award to Ullr which didn’t prank anyone (maybe next year). What was your favourite snow April fool? READ MORE USA resorts to enforce skiing speed limits, will Australia follow suit?